An algorithm is nothing more than a step-by-step procedure for solving a problem. 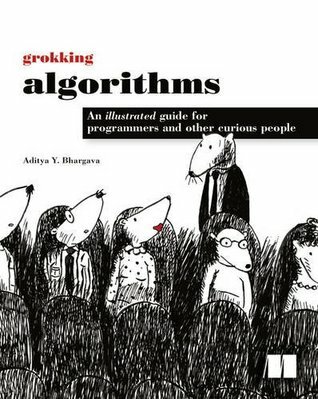 The algorithms you'll use most often as a programmer have already been discovered, tested, and proven. If you want to take a hard pass on Knuth's brilliant but impenetrable theories and the dense multi-page proofs you'll find in most textbooks, this is the book for you. This fully-illustrated and engaging guide makes it easy for you to learn how to use algorithms effectively in your own programs. Each carefully-presented example includes helpful diagrams and fully-annotated code samples in Python. By the end of this book, you will know some of the most widely applicable algorithms as well as how and when to use them.